IQ India 2012 (formerly India ON) is Qualcomm's annual mobile industry event that brings together the brightest minds in the mobile ecosystem - from equipment and device manufacturers, operators, and developers to content providers, media and analysts. Fone Arena is proud to be the Official Online Partner for IQ India 2012 bringing you all the news and views from the event.You can watch the live stream and follow our live blog below for live updates. Dr. Paul E. Jacobs is chairman of Qualcomm's board of directors and the Company's chief executive officer. A leader in the field of mobile communications for over two decades and a key architect of Qualcomm's strategic vision, Dr. Jacobs' responsibilities include leadership and oversight of all the Company's initiatives and operations. Through his technology innovations and advocacy, Dr. Jacobs spearheaded Qualcomm's efforts to develop and commercialize mobile technology breakthroughs that have contributed significantly to the growth of both the Company and the industry. Important developments which began under Dr. Jacobs include: the first smartphone based on Palm OS®; inclusion of GPS capabilities in mobile phones (which led to the acquisition of SnapTrack™ and Qualcomm's development of gpsOne™ position-location technology); the Brew® system, which enables over-the-air downloading of applications; QChat, a Voice over IP, push-to-talk system; and mirasol®, an advanced reflective display technology. Following the completion of his Ph.D. in 1989 and a year as a post-doctoral researcher at a French government lab in Toulouse, Dr. Jacobs joined the Company fulltime in 1990 as a development engineer leading the mobile phone digital signal processor software team. Five years later, Dr. Jacobs became vice president and general manager of the combined handset and integrated circuit division, which was subsequently divided into Qualcomm Consumer Products (QCP) and Qualcomm CDMA Technologies, respectively. In 1996, Dr. Jacobs was named senior vice president of the Company and in 1997, president of QCP. Under Dr. Jacobs, QCP (prior to its sale to Kyocera Wireless in 2000) moved into the No. 2 CDMA handset supplier position in the U.S. 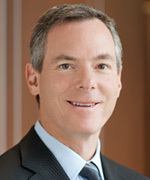 In 2000, Dr. Jacobs was named executive vice president of Qualcomm and in 2001, group president of Qualcomm Wireless & Internet (QWI), where he oversaw Qualcomm Technology Licensing, Qualcomm Internet Services, MediaFLO USA Inc. and MediaFLO technology development, Qualcomm MEMS Technologies, Qualcomm Enterprise Services, Qualcomm Government Technologies and Qualcomm Technology & Ventures. As Qualcomm executive vice president, he was also responsible for administering the Company's corporate marketing functions and standards organization. As senior vice president and chief marketing officer for Qualcomm Incorporated, Anand Chandrasekher oversees global marketing and external communications. Prior to joining Qualcomm, Chandrasekher was senior vice president at Intel Corporation in charge of the Ultra Mobility Group and the Intel Atom™ processor family. 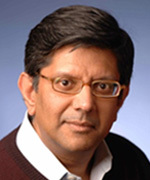 During his 24-year tenure at Intel, Chandrasekher held a variety of roles including co-head of Intel's Mobile Platfroms Group; Worldwide Sales and Marketing Group; and, the Workstation Platforms Group. He is best known for his pioneering efforts on the Intel Centrino™ platforms which helped usher in the modern era of mobility. Chandrasekher received his bachelor's degree in computer science from Cornell University, his master's in operations research from Cornell University; and, his master of business administration from Cornell University Johnson Graduate School of Management. Chandrasekher is a board member on Cornell's College of Computing and Information Sciences; a member of the advisory board for Rutberg Wireless; and, a Charter Member of The Indus Entrepreneurs (TiE). 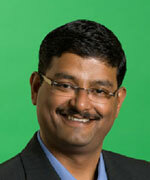 Raj Talluri is SVP-product management for Qualcomm's chipset division. 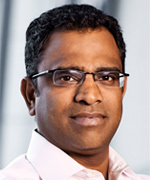 He is responsible for managing app processor technologies and wired connectivity solutions for Qualcomm's chipset platforms. Talluri has more than 17 years experience spanning business and engineering management, and strategic marketing. Prior to Qualcomm, Talluri worked at TI in a wide variety of engineering and general management roles, and led the launch of TI's OMAP3 and OMAP4 app processor platforms for smartphones. Talluri has nearly eighteen years of experience that spans across business management, strategic marketing, and engineering management. He began his career at Texas Instruments working on media processing in the Corporate Research Labs. While at Texas Instruments, Raj started multiple new business in digital consumer electronics and wireless technologies. He served as the General Manager of the Imaging and Audio Business for five years leading the development of a succesful digital signal processing technologies for various consumer electronics devices. 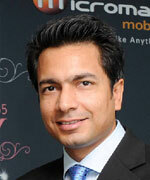 Later on Raj was named General Manager of the Cellular Media Solution business in TI's Wireless Terminals Business Unit. In this role, Raj led the succesful launch of TI' OMAP application processor platforms for Smartphones. Talluri holds a Ph.D in electrical engineering from the University of Texas at Austin. He also holds a master's of engineering from Anna University in Chennai, India and a bachelor's of engineering from Andhra University in Waltair, India. He has published over 35 journal articles, papers, and book chapters in many of the leading electrical engineering publications. He has been granted 13 U.S. patents on image processing, video compression, and media processor architectures. Talluri has lectured on multi-media silicon solutions and image processing at industry forums and at invited talks throughout the country. Dr. Avneesh Agrawal is president, Qualcomm India and South Asia and senior vice president for Qualcomm Incorporated, providing leadership and oversight of Qualcomm's business operations in India and South Asia. Dr. Agrawal began his career at Qualcomm in 1994 as a systems engineer for Globalstar. From 1998 – 2001 Dr Agrawal led the development of QCT's first UMTS chipset. From 2002 – 2009 he led the company-wide effort on the development of OFDMA technology and LTE chipsets. In 2005 he was named the general manager for Qualcomm's Technology & Ventures division responsible for Qualcomm's venture investments and research in new technologies, and in 2006 he served as the co-lead for Corporate R&D. Dr. Agrawal joined the Office of the CTO in 2007 while continuing to lead Qualcomm's R&D in OFDMA-based next generation wireless technologies. 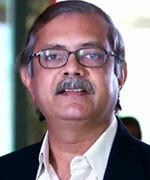 Dr. Agrawal joined QCT in 2009 where he led the development of wireless connectivity (LAN/PAN & Broadcast) chipsets. In 2010, Dr. Agrawal became the product management lead for the Wireless Connectivity Products group where his group focused on Qualcomm's standalone wireless connectivity products business and on driving the wireless connectivity technology roadmap for QCT. Dr. Agrawal has been granted 84 U.S. patents and holds a bachelor of science degree in computer systems engineering and master of science and Ph.D. degrees in electrical engineering, all from Stanford University. K Srinivas is a Mechanical Engineering graduate and a PGDM from IIM Bangalore (1987). 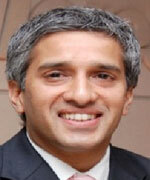 Srini joined bharti airtel in Nov'02 and as a CEO, led the operations of mobile services in Andhra Pradesh and Delhi. During this period, he led airtel to a leadership position in Andhra Pradesh and laid out a strategic blue print for significantly scaled up operations. In Mar'06, he moved as the Executive Director for Mobile Services for the Eastern Hub comprising of the newly rolled out operations of West Bengal, Orissa, Bihar and North East. During this tenure, Srini helped airtel achieve a huge scale and led the brand to a dominant leadership position, overtaking all key competitors. In Jun'08, his portfolio was expanded to include the operations of Gujarat and Maharashtra & Goa. Simultaneously, he led the launch of airtel's first 100% venture overseas by successfully translating the unique business model of airtel beyond the shores of the country. 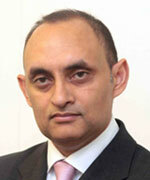 He is currently the President of bharti airtel's telemedia business and is a member of the Airtel Management Board. Of his 22 years of rich working experience, Srini spent his early years in Britannia Industries Limited, then a subsidiary of Nabisco, and Hindustan Lever Limited (HLL) a subsidiary of Unilever. During these years, he worked in various sales, marketing and business development roles across different profit centers. His last assignment in Hindustan Lever was that of a Business Manager-New Ventures, where he was responsible for developing a new rural business model for HLL using micro credit and micro financing thro' banks. Srini is married to Renu and has two daughters, Shreya & Shruti. Deepak Gulati is the Head of Tata Teleservices Limited's Mobility Business Division, overseeing the company's operations on both the GSM and CDMA platforms. Deepak also spearheaded the Company's foray in the 3G business, and leads the core team that identifies and innovates on new business opportunities in the fast-evolving telecoms market in India. It was Deepak who led the national launch of Tata Teleservices Limited's telecom services on the GSM platform—branded Tata DOCOMO—across the 18 Circles where the Company received spectrum from the Government, and oversaw the overall business strategy and implementation. In that role, Deepak's direction and guidance saw Tata DOCOMO emerge as India's most differentiated and pioneering telecom brand. Deepak also oversaw and guided the launch of Tata DOCOMO's 3G services in November 2010, when TTL became the first private operator to do so. Deepak was also at the helm of affairs when TTL consolidated all its products and integrated them under the Tata DOCOMO brand—on both the GSM and CDMA platforms. Prior to taking charge at Tata Teleservices Limited, Deepak was the Chief of Staff and Head of Strategic Planning Group at GMR, India's leading infrastructure Development Company. At GMR, Deepak was responsible for the airport sector for operations, organization development, governance and performance management, partnerships and alliances, marketing and regulatory affairs. 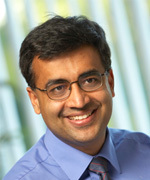 Deepak has worked with Dell Computers as the Head of its Centre for Competence, where he led the company's global customer experience centre for technical support, creating many industry benchmarks in the process. Deepak is not new to the telecom industry, having worked with Bharti Airtel for eight years as the Business Head in the South, North and East India regions. His knowledge of customer trends and market movements across the country have led to him being a well-known figure in the industry. Deepak has nearly three decades of experience across various industry segments—Telecom, Information Technology, Manufacturing and Consumer Durables. While crediting his success to his focus on customer satisfaction and result orientation, he believes in achieving goals through balanced systems and processes, thereby ensuring 'talent benching'. Deepak believes that a strong leader invests in people and relationships—with his strengths being his strategic acumen and attention to detail. He credits his deep knowledge of consumer insights and an innovative mindset for having helped him conquer many challenges. Deepak completed his Masters in Business Administration, majoring in Marketing, from Punjab University in 1982. 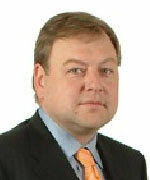 MTS India Mr. Vsevolod Rozanov, took over the reins of Sistema Shyam Teleservices Ltd (SSTL) in 2008. As President and CEO, he leads the company in India. Mr. Rozanov brings with him a rich work experience in managing finances and leading various key initiatives in his previous roles. As Vice President & Chief Financial Officer (CFO) at Mobile TeleSystems (NYSE: MBT), the largest mobile phone operator in Russia and the CIS and the telecommunication arm of Sistema, he was instrumental in improving business efficiencies, leading cost reduction initiatives and raising funds for the company. As the Deputy CEO & CFO at Comstar - United TeleSystems OJSC, Mr. Rozanov played a key role in the preparation for Comstar UTS' IPO between 2004 to 2006. He was also was the Deputy CEO & CFO at MTU-Inform from 2002 to 2004. He has also held key consulting positions at leading management consulting firm Bain & Company, Inc. in Moscow, London and Stockholm from 1993 to 2001. Born on July 30, 1971 in Moscow, Mr. Rozanov is a graduate of the Lomonosov Moscow State University with a degree in Economics.Beyond business, Mr. Rozanov's interest includes reading modern literature, travelling and doing cross country skiing. Fredrik has held key positions in Ericsson including Vice President & Head of Engagement Practices with responsibility for customer engagements within the Region India (from August 2010 till end of May 2011). 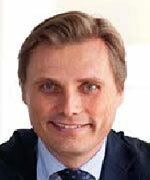 Between April 2006 to July 2010, Mr. Jejdling was Vice President & Head of Sales, Business Unit Global Services. In this role he was responsible for sales and finance for the Business Unit and the consolidated Market Units’ services financial results. Prior to that he was Director & Head of Managed Capacity responsible for developing the Managed Capacity offering for Ericsson.His previous positions include various senior managerial positions in LUX Asia Pacific, Singapore and LUX Australia Pty. Ltd. (between 2002-2006) spearheading into branding strategy and new products from design, development to sales system. From 1998 – 2002 he held various managerial positions with Tele 2 group offering Public Telecom Services, Transaction Processing & Clearing Services to Airports and Hotels.Fredrik has also served as Lieutenant, Combat Command Officer with Royal Swedish Navy responsible for the combat information centre and officer on the bridge.Fredrik holds M.Sc. in Economics and Business Administration & Major in Finance and International Business from Stockholm School of Economics. He is MBA/ 2nd year exchange program from the Richard Ivey School of Business, University of Ontario, Canada. He also studied Lieutenant/ Reserve Officers training for the Royal Swedish Naval Academy.Born in Sweden, Mr. Jejdling is married and has two children. He is a sports enthusiast particularly interested in kite boarding and skiing. Mr.Sethuraman, is an Industry veteran with over 25 years experience in leading Telecom Multinational companies in various capacities. He is presently the Executive Director at Huawei Telecommunications, heading the Technical Sales and marketing activities. Prior to this, he served as a Chief Marketing Officer responsible for Marketing & Strategy at Alcatel Lucent and earlier was the Country Senior Officer for Sri Lanka and Maldives at Alcatel. He has presented many papers and has contributed to CII’s broadband vision 2010 document and the broadband policy of India. He was also the past Chairman of the GSM suppliers association in India. He has participated in many panel discussions on subjects such as GSM, CDMA, 3G-HSxPA, WiMAX, LTE, Fixed Broadband, IP-TV, e-Gov etc and has contributed to the growth of the telecom field in South Asia. Arvind Subramanian is a Partner & Director at The Boston Consulting Group. Arvind has been working with technology and telecom clients in India, Asia and Africa on a range of topics including product and market strategy, new business build, organization design and leadership effectiveness, and operations transformation. In recent years much of his work has centred on understanding the emerging Digital Consumer in India and how companies within and beyond the technology sector should prepare for their growing influence. Arvind is the global topic leader for the 'Next Billion Consumers' – a group of consumers across emerging markets that BCG has identified as an emerging force and has been tracking for more than five years. 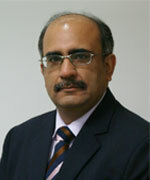 Prior to BCG, Arvind worked with the Tata Administrative Service the central management cadre of the Tata Group. Mr. Rahul Sharma, Executive Director, Micromax Informatics Limited, is the driving force behind Micromax's commendable position in the Indian mobile handset market. Leading the Product and Sales strategies in Micromax, Rahul encompasses an enriching work experience of 13 years. The phenomenal growth of Micromax can be attributed to the dynamic leadership of Mr. Sharma. An unparalleled increase in revenue inflow further substantiates the midas touch that Rahul has brought to the company and an equally impressive growth of the company highlights the consistency of his leadership. Rahul upholds the philosophy that we must create our own roadmaps rather than following others by imbibing innovative models tailor-made for our needs and expectations, and hence along with his peers – Rajesh Agarwal, Vikas Jain and Sumeet Arora, he scripted the success story of Micromax since its inception. It was Rahul's abetted efforts to convince his peers after nine years of selling computers, software courses and "fixed wireless" public phones (PCOs), to venture into the mobile handset industry in 2008, thus leading to the inception the fascinating feat in Micromax. Considering Micromax to be his brainchild, Rahul drew his greatest inspiration for the company to enter the mobile phone manufacturing business over a compelling incident of a chance encounter with a payphone operator. Everything started with a truck battery in the year 2007. In the powerless village of Behrampur in West Bengal, Mr. Sharma saw an Airtel PCO being powered by a truck battery. Every night, the PCO owner would lug the battery 12 km to an adjoining village on his cycle, charge it there overnight, and lug it back to Behrampur in the morning. Rahul was fascinated by the nature of innovative adaptation to suit the difficult conditions which the payphone operator had employed and his interest only grew when he found out that to everyone's surprise, the operator was also able to earn a tidy sum of money. Based on this phenomenal experience of innovation arising from constraint, Micromax soon launched its first phone which had a battery back-up of one whole month. And from there started the grand journey. This compelling story reflects Rahul's firm belief in the ideology, "Success comes to those who dare to dream." Keeping this central to all his endeavors at Micromax, Rahul made significant progress and went on to launch a whole gamut of phones, all designed to suit the ever-changing needs of the dynamic Indian market. Rahul takes great pride in investing all his energy and deep commitment to quality in improving the business performances of his organization. Passionate about being a catalyst for change in the lives of the people, Rahul is rare combination business acumen and a creative mind and is adept at leveraging his knowledge, skills and expertise to maximize people's potential. 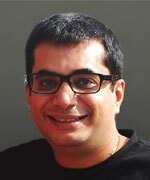 Vishal Gondal is the Founder and CEO of Indiagames.com that develops mobile and computer games in India & is the #1 gaming brand in India. A self-taught profession fuelled with immense passion, he developed games by reading books on computer programming. In 1999, Vishal founded Indiagames, then a five member team. He leads a global operation with over 300 employees in Mumbai. He is recognized as being instrumental in starting and growing the Gaming Industry in India. Vishal features among the 15 coolest young entrepreneurs in 2011 by The India Today Aspire magazine & top 25 powerful people in Indian digital business in 2012. In Feb 2012 Indiagames was acquired 100% by The Walt Disney Company & Vishal now heads the Gaming/Digital Initiatives for Disney in India as Managing Director Digital. Vishal is also an active mentor & angel investor and works with a number of early stage entrepreneurs to help fulfill their dreams. He is also a fitness freak & you would find him running marathons across the world when he is not gaming on his iPad. Chakrapani has the overall responsibility for the Consumer Channels Group (CCG) at Microsoft India, having been appointed in this role in October 2011. CCG consolidates all of Microsoft's consumer products and channels across the Retail, OEMs and Operator Channels. This Group has single point of accountability for all of the India subsidiary's consumer channel and product partner activities across all device platforms; Windows PCs, Windows Phones and Xbox360. 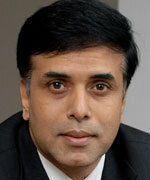 Chakrapani will strategically lead this business and drive market share for Microsoft in the Indian consumer segment. With over 19 years of experience, Chakrapani brings expertize in the ICT industry and deep understanding of how to create scale in an emerging market. Prior to joining Microsoft, he spent 6 years at Nokia where in his last role, he was Director, Mobile Financial Services business at Nokia, focused on driving the Go-To-Market strategy and expansion in Asia after initially establishing the business in India. In his earlier role with Nokia, he served as Country General Manager for the Enterprise Solutions Business Group where among other activities, led the team to establish and scale the smartphone and Eseries business for Nokia in India. Chakrapani is excited about the opportunity to drive consumer experiences across multiple platforms and devices for Microsoft. He lives in Gurgaon with his wife and two daughters and enjoys running and in spare time living the outdoors life with activities like trekking and rafting. Qualcomm, Brew MP and Snapdragon are registered trademarks of Qualcomm Incorporated.All other trademarks are the property of their respective owners. 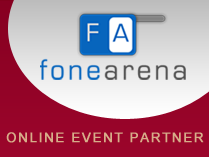 FoneArena.com is the official online partner for IQ India 2012. © FoneArena.com All Rights Reserved.Text, images and all other content on this website may not be copied or republished in any way without formal permission.